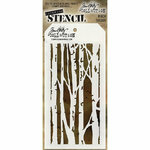 Create quietly beautiful winter scenes with the Woodland Layering Stencil from Tim Holtz for Stampers Anonymous. 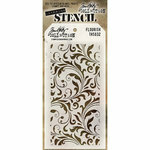 The package includes one 4" x 8.5" stencil that will give any project added depth and dimension by easily creating layers of stains, paints and inks. 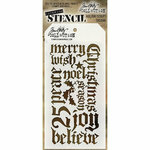 I bought this stencil to make backgrounds for my Christmas characters. As is always the case, Tim Holtz is an amazing designer. 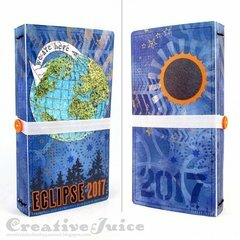 I just tried these out last night and was so impressed when I put the second layer over the first....the tree just came to life! It would be lovely on a serene landscape scene and was just precious behind my figure. 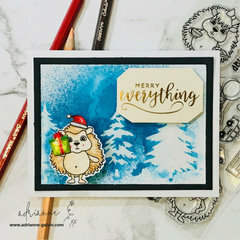 I used a few lines of sparkle drops to simulate snow and it was my favorite part of the card, Makes me look like a real artist. 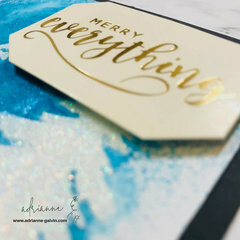 I love this layering stencil! 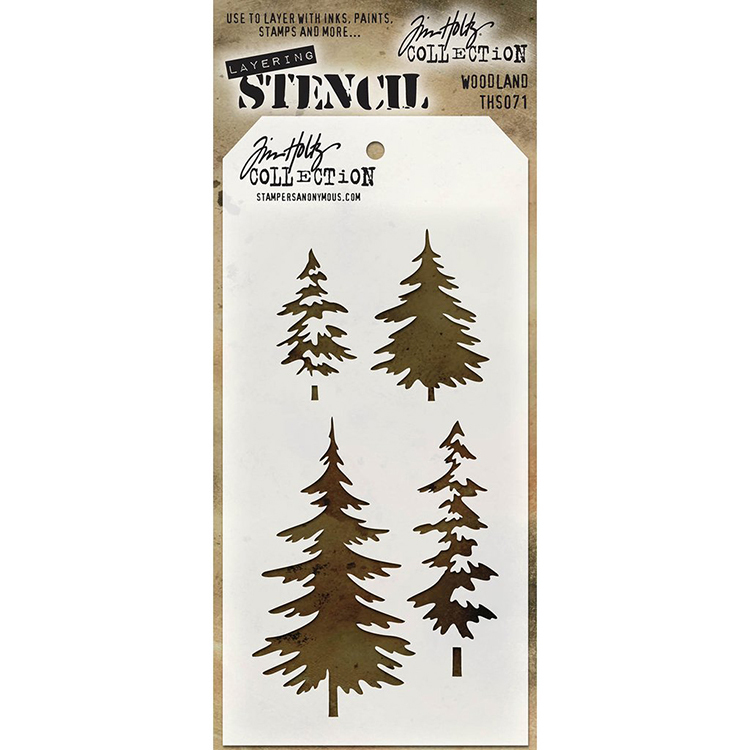 Sometimes my other die cut trees don't cut it when I want a certain tree in a certain place and this stencil is just right for those times. 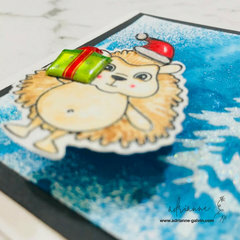 I am so happy that Scrapbook.com had the stencils in, they are very popular and were difficult to get a hold of. 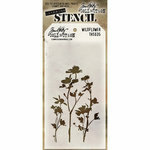 Can't wait to use my new stencils ! 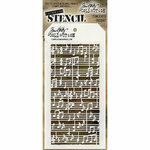 Great little stencil from Tim Holtz. Can't go wrong with Tim. 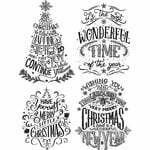 Won't use them until Nov/Dec but like other Tim's stencils, it will be great. 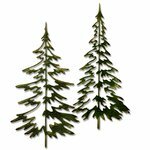 These trees are perfect for my pages and cards. Can't wait to use this stencil. The description says the sheet is 4" by 8.5". 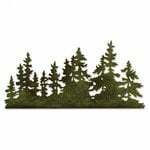 What size are the actual trees? By: JRJVA (17-Sep-18) Helpful Question? Yes | No Thank you! Report Inappropriate This question has been reported. Thank you! Hi there! Here are the approximate dimensions of the trees: upper left is 1 1/4" W x 2" H, upper right is 1 3/4" W x 2 1/2" H, lower left is 2 1/4" W x 4 1/4" H, and lower right is 1 3/8" W x 3 1/2" H. By: Stampers Anonymous (18-Sep-18) Helpful Answer? Yes | No Thank you! Report Inappropriate This Answer has been reported. Thank you!